I pride myself on providing practical, evidence-based solution for weight loss. Losing weight isn’t as complicated as people think, but it’s NOT easy. In the quest for ideal health and leanness, many people turn to superfoods for an edge. Superfoods is a marketing term, rather than a scientific one. There’s no scientific criteria to be classified a superfood. A nutrient is a substance used by an organism to survive, grow, and reproduce. So all macros (protein, carbs, fat) and all the vitamins/minerals are technically included in that category. Then we get into the phytonutrients (plant nutrients) like carotenoids, ellagic acid, flavonoids, resveratrol, and glucosinolates. There are actually over 25,000 phytonutrients, but those are a a few of the important ones. So a superfood contains a lot of important nutrients. We all want that, right? You could reduce your risk of cancer, lose more fat, improve your vision, and heal your digestion…if you knew which nutrients to use. Although many nutrients (like the aforementioned carotenoids and ellagic acid) are being studied for their health benefits, it’s not as simple as providing a cure or remedy for an illness. So while there are certainly foods that have special health benefits, most whole foods have some beneficial properties. Superfoods are neither the miracle for fat loss nor for your health. They’re certainly worth including in your nutrition plan, but it’s not likely to be a complete solution. In my experience, people are more willing to ADD things to their nutrition plan, rather than take things away. Goji berries on my sugar-laden cereal? A little spinach in my cream cheese and bacon pastry? Add a slice of lycopene-rich tomato to my greasy burger? I don’t mind if I do! Hopefully you see the problem here. Your health is more complicated than the benefits you get from a few nutrient-dense foods. What really matters is how your nutrition plan fits together, in both quantity and quality. That’s not to say that there aren’t some foods that deserve to be included more often. Leafy greens contain folate, vitamin K, and various antioxidants. Although you probably want to avoid romaine lettuce right now, they are several leafy greens that you can eat for health benefits. Heat can help reduce e.coli risk, so you can get health benefits without the risk by cooking your greens. Omega-3 fatty acids, which fish like salmon have plenty of, help reduce inflammation and support brain function. EGCG, a polyphenol which is an antioxidant in green tea, is likely responsible for its anti-inflammatory effects. Green tea may protect your brain in the elderly years and may reduce your risk of certain cancers. Eggs contain B vitamins, choline, selenium, vitamin A, iron and phosphorus. Nearly all of that is in the yolk, so make sure you try to eat one at least a couple of times a week. Egg whites are nearly pure protein, which many of us struggle to get enough of. All berries are high in antioxidants and fibre. Different types of berries also contain unique phytonutrients with beneficial health effects. Studies tend to show cancer-protective effects from a diet generally high in fruits and vegetables. Meaning: comparing people with and without cancer, the studies show lower risk of several cancers in those who eat more fruits compared to those who eat relatively few. Early research has shown the kiwiberry to be a promising treatment for some cancers and health issues involving the gastrointestinal system. The anthocyanins in blueberries are believed to reduce age-related memory loss. They also contain vitamins C and K, as well as manganese. High in fibre and beneficial fats (with a bit of protein too), nuts and seeds are a good choice in reasonable doses. The fiber helps with digestion, and nuts have been showed to reduce LDL (“bad”) cholesterol levels. EVOO contains monounsaturated fatty acids (MUFAs). It also contains oleic acid and oleocanthal, which contribute to its anti-inflammatory effect. MUFAs reduce your total cholesterol and LDL cholesterol. High in vitamin K and potassium, avocados also contain a high percentage of MUFAs (like olive oil). The allicin from garlic may be helpful in preventing colds, but you probably won’t be able to consume the amount needed (the study used allicin pills). Garlic can help to reduce blood pressure and lower LDL cholesterol. Onions, which are also part of the allium family of veggies (with garlic, scallions, chives), are high in vitamin C, B6, and manganese. They also contain the antioxidants quercetin and sulfur, and may reduce the risk of certain cancers. I wrote an entire blog post about the benefits of chocolate. The gist of which is that cocoa (found primarily in 70% chocolate and above) contains flavanols, which can improve cognition in elderly subjects and can improve markers of cardiovascular health. A nutrition plan that includes many of these superfoods on a regular basis (and whole foods in general!) is a step in the right direction. Remember though, that nutrition is highly individualized. I avoid garlic and onions because they exacerbate my acid reflux issues. Beans and pulses need to be consumed in very small servings or they upset my digestion. I don’t like arugula so I don’t eat it. No single food will ward off disease or get you slim. I remember one of my Coaching clients, a nurse, telling me about a cranky elderly man she took care of in the oncology ward. Blueberries were the superfood-de-jour then because some research had come out about their antioxidant potential. If only optimal health were as simple as eating a few blueberries! Our health is a combination of our genetics, what we eat, our physical activity, our environment, and our psychological state. 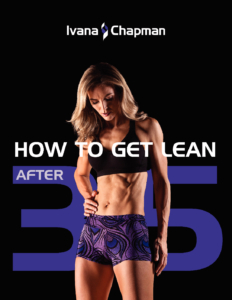 Being lean is also a blend of those factors. We can’t control all of them, but the more positives we put in the better we’re likely to do. Your entire nutrition plan, day-in and day-out, counts. The calories you consume, their macro breakdown, and the quality of the food all make a difference. Don’t rely on just one thing. Try to give yourself as many “positives” as you can, while limiting the negatives. That’s the real solution for health and weight loss.